So once Adara was finished it was time for the mystic light KAL. Somehow, miraculously I have managed to finish each clue prior to the next clue being released. I'm determined to finish this project for purely selfish reasons. The sooner I finish the clue the sooner I can start on the Magic Carpet Ride pattern. I finished clue 2 a day early and when I went to start Magic Carpet and I couldn't find my darn beading needle. Then I gave up searching and vowed to work on my mystery shawl (MS3) which I stopped mid-way through that KAL. The problem is I could find the second skein of yarn, I could find the charts and the pattern but I couldn't find MS3 on the needles anywhere. I found MS3 (still on the needles) but then I couldn't find the beads. I was going to start searching again but I realized I was searching more than I was knitting and I had a perfectly good sock to work on. So I went downstairs and picked up my sock and managed to make it all the way down to the heel flap. I was glad that I had "accomplished" something since all of my searching didn't turn up what I needed. I wake up the next morning and go into my craft room determined to find what I was missing and there they are.....the beading needle........and the mystery shawl beads.....right on top of my in plain view. I laughed so hard. It is so fitting that some times you search so hard for something that was right in front of you in the beginning. Oh and to make matters better this project and this project showed up in the mail......The yarn as always is to die for!!! Oh and the dynamic duo Kim and Susan did it again with this. I'm so excited and inspired. In the midst of all of this searching and knitting I've begun to learn a lot about myself as a knitter. Before I would just "muscle through" some patterns just to finish them. Now I'm appreciated each pattern I select. I like knowing a little bit about the designer. I like to know a little bit about the person behind the yarn. All of those tidbits of information make each project that much more enjoyable. I've even been known to (tink) back some of my knitting instead of my normal just K2tog and keep on moving. Sometimes tinking can be as fun as knitting (note that is said "sometimes") For the times when its not fun there are always cupcakes. Cupcakes make just about anything better. I'm learning understand a lot more about fixing mistakes than I gave myself credit for. 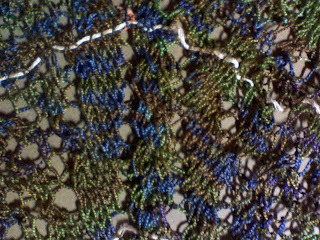 I love knitting lace even though it once (mystery shawl project) got me such in a tizzy that I stopped. I've vowed to stop stopping so I am eager to finish the mystery shawl (of course after I finish the newly arrived projects) I wouldn't want to offend the new yarn. Once again I am learning so much about myself all while cherishing every knit or tink of these projects.